Makayla Guerriero of Abington loved being on the varsity high school lacrosse team, but several times she offered to quit, said her father, Tim Guerriero. She worried about the school user fees her family had to pay for every season she played. 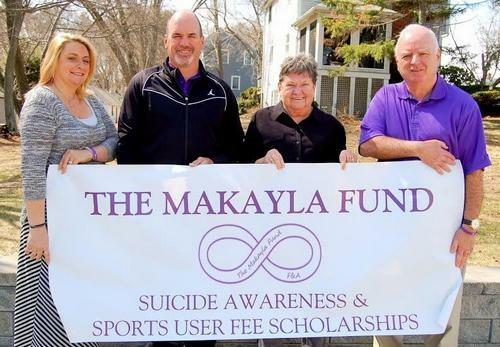 When Makayla died by suicide a month short of her 16th birthday, her family wanted to make sure no student missed the opportunity to be on a team because of money. They also were determined to “save one life,” at least, through suicide awareness and prevention. Since Makayla died in November 2012, the Makayla Fund has given more than $30,000 in scholarships, including more than $5,000 to individual students and more than $17,000 to school teams to allow them to compete, he said. The fund is a registered 501(c)(3) charitable nonprofit, but it has been difficult to get the word out through the schools about the scholarships, he said, noting that some coaches may not think beyond athletes already on their teams. Students from any high school, public or private, can apply for a scholarship to cover fees and equipment to participate in an official school sport, he said. The student writes an essay on how he or she has been helped or inspired by sports and the application asks general questions for the parent/guardian on household income range and family size. More information and the application form are available at www.TheMakaylaFund.org or by contacting the Makayla Fund at 617-640-1804.